Give the gift that keeps on giving and spread the holiday spirit with our super soft Christmas teddy bear and our beautiful heart shaped ceramic ornament customized with your personal message to your loved ones! This thoughtful Christmas gift package is perfect for any bear lover you know! 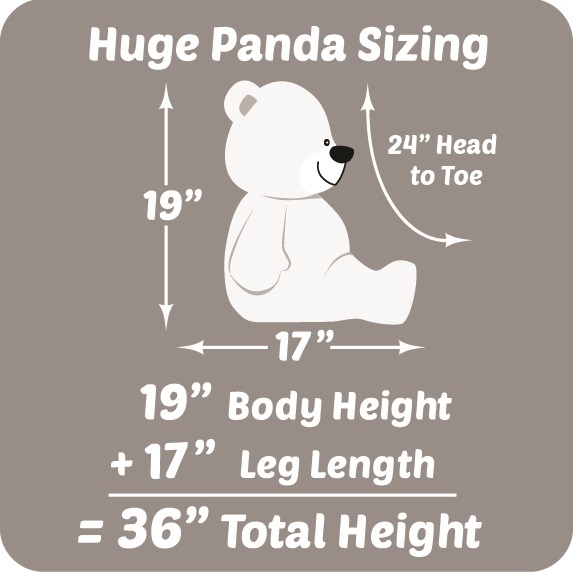 How BIG is this Panda?